Not too long to wait until the first episode of this new BBC television series airs (September 14th at 8.30pm BST) on BBC1. 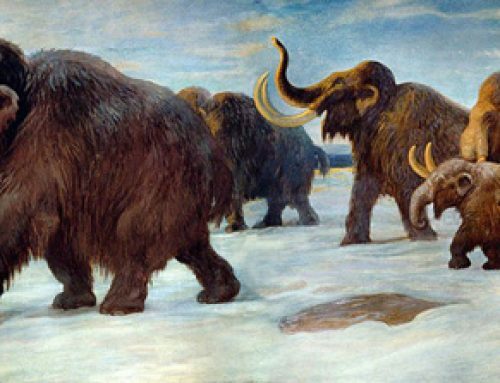 By now many websites and blogs would have reported on the sort of prehistoric animals that are going to be featured. For example, episode one, entitled “Lost World” will introduce the predators Carcharodontosaurus, Spinosaurus and the crocodile called Sarcosuchus. We thought it would be helpful at Everything Dinosaur if we discussed some of the less well-known prehistoric animals that will be featured. An example might be Kimmerosaurus, a Plesiosaur that makes an all too brief appearance in the programme that features “Predator X” – a giant Jurassic Pliosaur whose, fossils were discovered in Norway in 2008. Kimmerosaurus is a victim of this huge marine predator, perhaps the largest known Pliosaur in the fossil record (although recent discoveries from Dorset (UK) may challenge this). Fossils that have been assigned to the Kimmerosaurus genus were found in the same strata as the huge Pliosaur fossils. In the programme, “Predator X” attacks a hapless Kimmerosaurus and tears it apart with its one foot long conical teeth. This is one of the goriest parts of what is quite a gory series. Then there are the bizarre and amazing feathered dinosaurs that feature in episode two. Take for example Epidexipteryx, a pigeon-sized feathered dinosaur from China. This predator was most bird-like of any dinosaur and is the first known case of ornamental feathers in the fossil record. Small feathered dinosaurs such as Microraptor will also feature but look out for “big bird”, the 8-metre long Gigantoraptor. Feathers may have been used for flight, for insulation or even to intimate and attract. These dinosaurs not only hint at how animals might have developed flight but also suggest that dinosaurs may still live among us today… as birds or as we say “avian dinosaurs”. There are certainly a whole host of new prehistoric animals in the television series, whether it is giant Pterosaurs such as Hatzegopteryx, horned dinosaurs like Chasmosaurus or fierce carnivores such as Daspletosaurus we are confident that these new programmes will both inform and delight.